Carolyn Lapp was just 16 when she had her son out of wedlock in the Amish community. Her parents stood by her and her community forgave her. She was baptised into the Amish Church at 17 but for the past 16 years she and her son have lived with the stigma of her being an unwed mother. When she meets Joshua, who assumes Ben is her nephew, Carolyn falls for him but her brother Amos has other ideas of marrying his sister off and when Carolyn clashes with Joshua’s mother too the course of true love is hindered still. 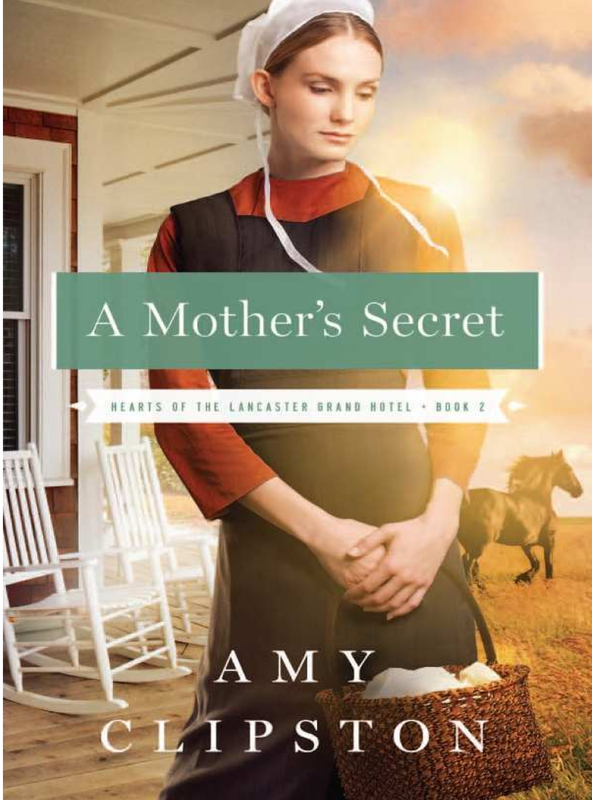 I really do enjoy reading Amish fiction and this book did not lack in allure at all. Even in the simplest of societies human nature plays it’s part and human weaknesses is what theory is about in Carolyn and Joshua’s story. I have not read the prequel to this book but I found A Mother’s Secret easy to get into and read. There’s a glossary at the beginning of the book to translate common everyday Amish words used. The characterisations were believe able but there was a point in the book when Josh was with his mare who was about to birth and Carolyn was sent to the veterinarian’s house, on leaving she tells Josh to stay with his mare, which didn’t read right to me as Josh breeds horses and it would seem a strange thing for a novice like Carolyn to say to him when he’s the experienced breeder. But I’m knit picking, there really isn’t much to dislike about this book and Carolyn is a flawed but likeable protagonist. I found this book warm and enlightening to read and look forward to reading more from this author. I LOVE Amish fiction, I find the culture fascinating and get lost in the language too.